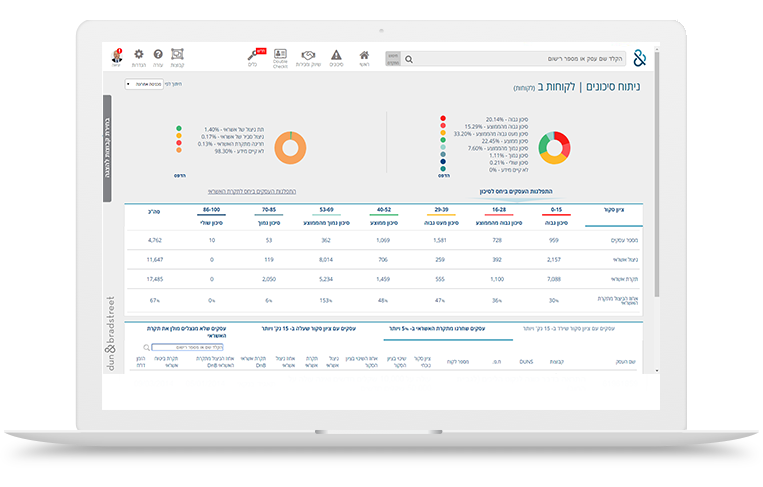 Our Risk Management Toolbox presents you with an immediate, concise and up-to-date report reflecting the risk levels and financial status of your customers or suppliers in a clear and intuitive manner. With this online system, you can understand the big picture immediately and clearly while constantly assessing the risks and opportunities in your ongoing work with customers and suppliers. This enables you to make quick and effective business decisions. View the legal status of enterprises. Interested in Risk Management Toolbox ?